A few shots from the Shining City, in today’s post. While on the way to Old St. Pat’s for the Irish language mass a week or two ago, a bit of my spare Manhattan time was filled by wandering about. 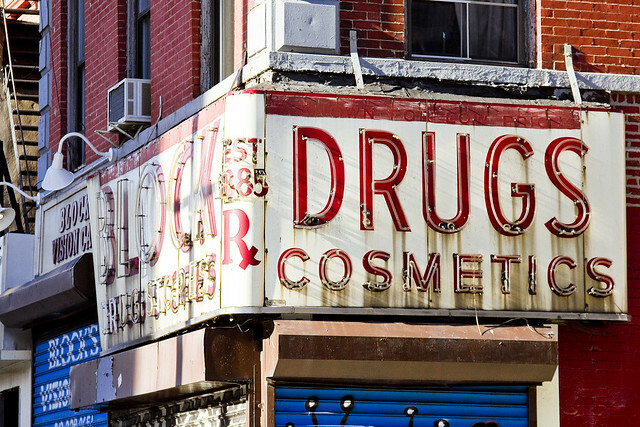 Over in the East Village, one of my favorite bits of historical neon – the Block Drugs sign – was observed and recorded. One had taken the 7 from Queens to Manhattan, which deposited me in midtown. 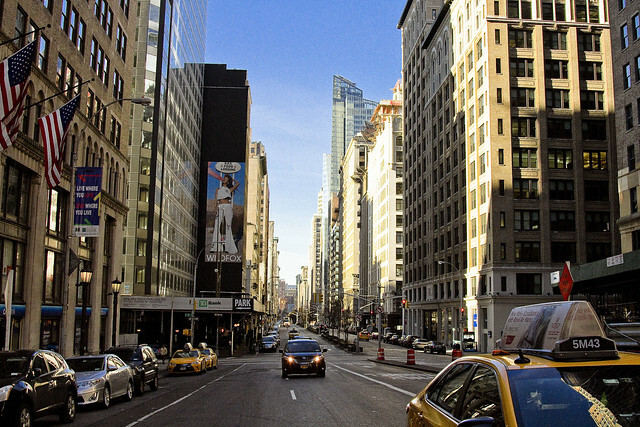 I had elected to walk down Park Avenue for one reason or another. One of the reasons was that since Park is a bit wider than most of Manhattan’s north south streets – there would be available light rather than perpetual shadow. Don’t worry, the Mayor’s new Mandatory Inclusionary Housing rules and zoning changes will soon eliminate any shard of pesky sunlight which might strike the ground. 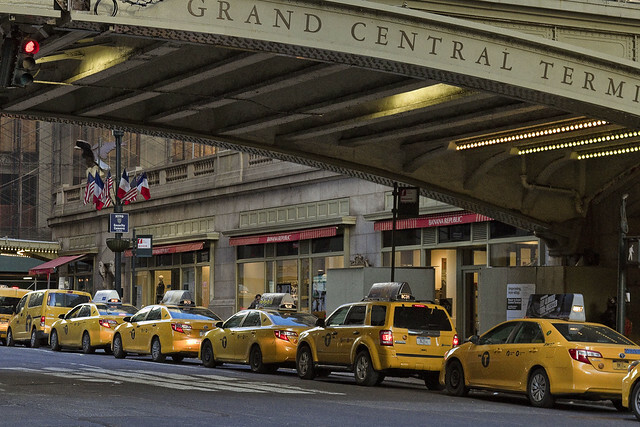 Always on the lookout for something “iconic,” this early morning lineup of taxis at Grand Central Terminal caught my eye as I scuttled forth from the 7 train’s exit. Have a good Friday, all.